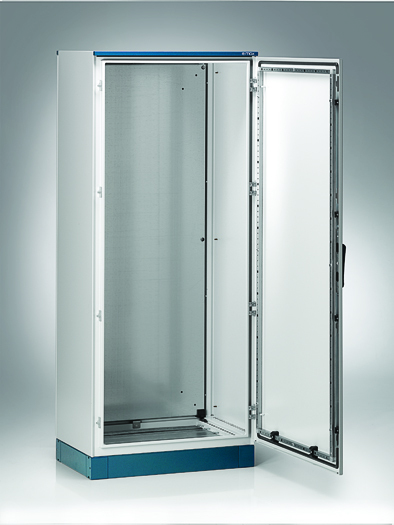 Double door IP55: Dust and hose proof. CE-TEKs CE-3000 monobloc free standing floor cabinets are available in 27 popular sizes in mild steel (finished in grey RAL 7035) and 15 sizes with a glazed door or in stainless steel (304 or 316). Sizes start from 1200x600x400mm to 2000x1600x400mm. 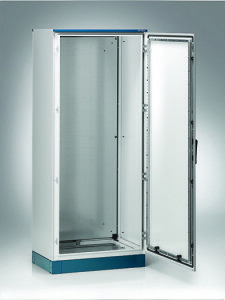 Protection class is IP66 for single door and IP55 for double door enclosures. Standard features include: fully seam welded structure, removable rear panel, internal mounting plate, modular cable entry and double bar locking system. Available with modular plinths and lifting eye bolts.